23rd Jan, 30th Jan, 6th Feb, 13th Feb – why not pop in after school pick up? 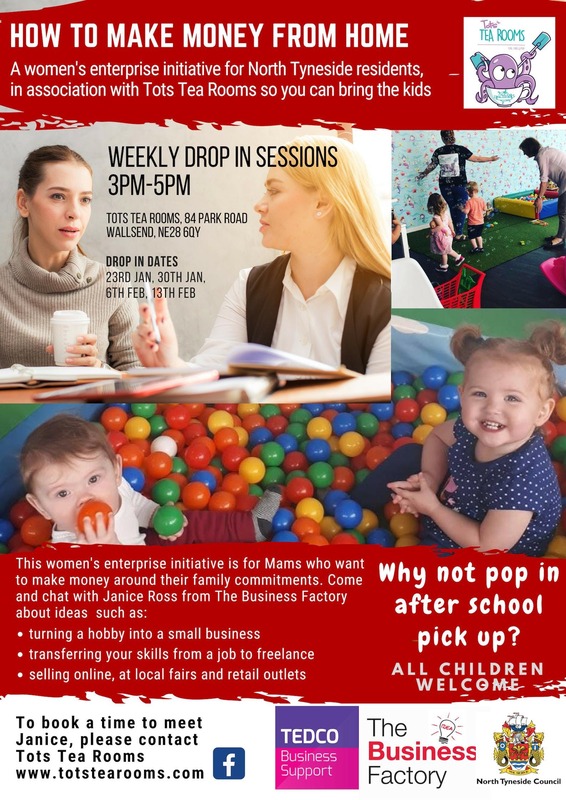 Contact Tots Tea T=Rooms to book your slot or complete the registration on this page and we’ll be in touch to arrange a time. This initiative is open to North Tyneside residents only due to the funding criteria. There are lots more free workshops that you have access to – just take a lookand choose which ones you’d like to attend https://businessfactorynt.co.uk/events/.